The Netherlands receives a lot of expats and international students every year who marvel at this country and its love for bikes. Most of them take some time to understand how these bikes whether new and shiny or old and tatty are an integral part of their culture. There are bike focused traffic rules, special policies in urban development and ticket giving policemen if you don’t follow the rules of the road. 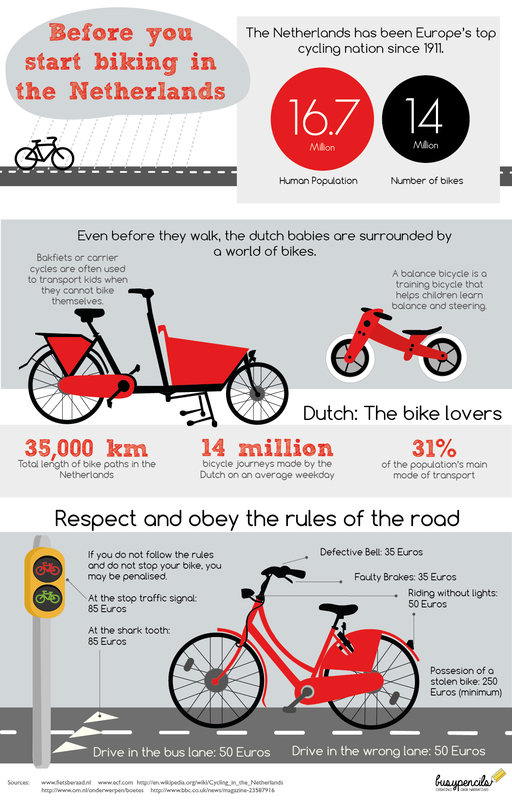 Here is a snapshot of what it is to be biking in Netherlands.